Swiss voters look likely to reject a speedy exit from the nation's five nuclear power plants, as concerns over losing energy independence outweighed the safety worries raised by the measure's proponents. In preliminary early afternoon results, 55 per cent of voters had rejected the initiative, with 45 per cent favouring it in a vote that was part of the Swiss system of direct democracy giving citizens a final say on important issues. Swiss reactors Muehleberg and Beznau I and II would be shuttered next year, followed by Goesgen in 2024 and Leibstadt in 2029, were the initiative to pass. The Swiss government and industry have fought the initiative, saying it could lead to blackouts, higher costs and the loss of energy independence because the country would become more dependent on coal-fired power from neighbouring Germany. "We're very happy Swiss voters are giving such an explicit result," said Heinz Karrer, a former head of the utility Axpo and current president of the pro-business group Economiesuisse, in an interview on state-run television SRF. "Switzerland's people don't want a radical solution," he said. "It would have caused uncertainties about our energy supply, something Swiss people were unwilling to risk." Germany plans to shutter its remaining nuclear plants by 2022, a response to the 2011 disaster in Japan that also prompted the Swiss initiative. Switzerland has a 2050 energy strategy in which it would gradually replace nuclear power that now supplies about a third of the country's electricity with renewables, including wind and solar. The strategy calls for eventual closure of the Swiss reactors, but without a deadline. That plan is under threat, however, with the Swiss People's Party, the largest in parliament, aiming to challenge it with a separate referendum on the grounds it is too expensive. Swiss utility BKW AG already plans to shutter Muehleberg in 2019, citing the high costs of maintenance and operations. 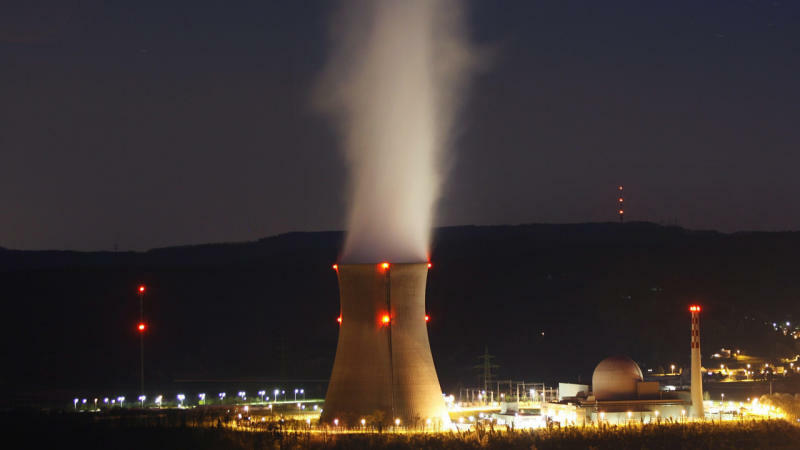 Swiss Green Party advocates for a quicker atomic power exit cited worries about an aging atomic capability, with Beznau I the oldest operating nuclear power station in the world, having been started in 1969. That reactor and Leibstadt, the largest Swiss atomic power station, have been offline for months following maintenance issues, including the discovery of discolouration in eight cladding tubes used to encase Leibstadt's fuel rods.